Is This Miniature Instagram Projector Adorable Or Completely Stupid? I hate everything but for some reason find this little projector to be the cutest and most adorable thing in the world. 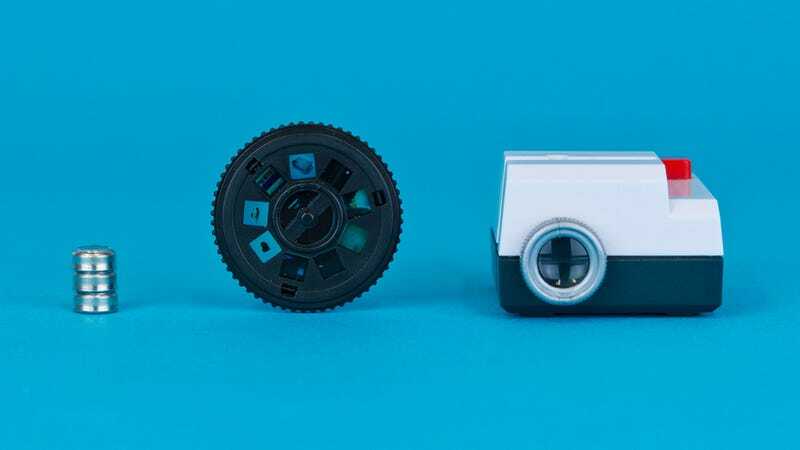 Projecteo is a miniature projector—about the size of a jar of Carmex—that transfers nine of your Instagram photos onto a single frame of 35mm Kodak film for you to then show your friends or whatever. Kelsey, Kyle and I find the $35 ($26 for the projector, $9 per slide) setup to be a wonderful gift for anyone. The rest of the staff it seems—most notably Brian and Andrew—hate the thing. Sure, the quality seems a little crap and you're probably better off showing those nine images on your iPhone or Android phone but it's so tiny and kawaii!